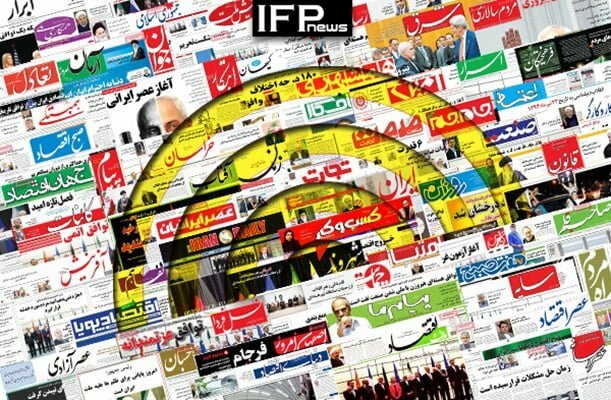 IFP has taken a look at the front pages of Iranian newspapers on Thursday and picked headlines from 13 them. IFP has simply translated the headlines and does not vouch for their accuracy. Newspapers today covered the ongoing war of words between the Iranian government and the Judiciary. There were also calls by newspapers and clerics who invited the two branches of Iranian Establishment to end the clash. The tragic death of a Muslim kid from Myanmar also received great coverage, with newspapers slamming the world’s silence on the case. Syrian President Bashar al-Assad’s appreciation of Iran’s support for the Arab country was also a top story today. 1- Time Bomb: Poll Results Show 27% of Turkish People Have No Problem with ISIS! 1- Parliament’s Atmosphere Is Like Laleh Park!